It's not uncommon for credit reports to contain errors. Occasionally, the errors are serious enough to affect your credit score. One of those errors might be the inclusion of outdated debts. Fortunately, there's a fairly simple way to remove old accounts from your credit report once the credit reporting time limit is up. By law, credit bureaus are only allowed to list negative items for a certain amount of time. For most negative information, the time limit is only seven years. Bankruptcy, however, can stay on your credit report for ten years. Normally, you don’t have to do anything to remove old debts from your credit report after the credit reporting time limit has run out. The credit bureaus will automatically delete the negative items from your credit report once they're scheduled to be deleted. But, if old accounts are still on your credit report, you can use the dispute process to have them removed. Note that the credit reporting time limit applies to negative items. There's no law requiring credit bureaus to remove old accounts that do not contain negative information. Instead, the credit reporting time for these is based on credit bureau reporting guidelines. For example, an account closed in good standing won't automatically drop off your credit report after seven years. The credit report dispute process is fairly simple. Write a letter to the credit bureau letting them know you’re disputing the information because it is outdated. Send your letter via certified mail with return receipt requested so you’ll have proof of the date the letter was sent and a signature from the person who received it. If the credit bureau doesn’t respond within 30 days, they’re in violation of the Fair Credit Reporting Act. The certified mail receipt will help if you decide to involve the Consumer Financial Protection Bureau or file a lawsuit against the bureau. As long as the dates on your credit report show that the old account should have already been removed, your dispute should go smoothly. However, if your credit report is showing a delinquency date that’s within the credit reporting time limit, you’ll have to send proof that the delinquency date is inaccurate. An account could have an inaccurate date after it’s sent to a collection agency, who often give debts a new date when reporting to the credit bureau. This is illegal and you’re well within your right to have the account removed as long as the original date of delinquency was more than seven years ago. Once you dispute, the credit bureau is required to do an investigation with the business that reported the account and update your credit report if the business agrees that your dispute is accurate. However, if the credit bureau doesn't fix the error you disputed, you'll have to take additional steps to clear up your credit report. If the credit bureau has done its investigation and has “verified” with the creditor that the account was within the credit reporting time limit, you should now dispute with the credit card issuer (or whichever business listed the negative information). Your dispute letter will look very much the same. State that your credit report shows an inaccurate delinquency date for the account. Give the true date of delinquency if you have it. You may be able to get the delinquency date from an old billing statement, past due notice, or previous credit report if you saved any of these. Just like credit bureaus, the business is required to investigate and respond to your dispute within 30 days and have the credit bureau update your credit report. Make sure you’re not confusing the credit reporting time limit with the statute of limitations on debt. It’s a common mistake because both have to do with how long companies can take certain action on delinquent accounts. The credit reporting time limit is defined by the Fair Credit Reporting Act and specifies how long accounts can stay on your credit report. The credit reporting time limits are pretty much the same for every type of debt (except bankruptcy) regardless of your state of residence. The statute of limitations on debt, on the other hand, has nothing to do with the credit reporting time limit. Instead, it defines how long a creditor can bring legal action against you for a debt. 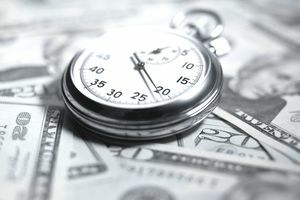 The statute of limitations varies by state and by type of debt. It doesn’t result in an automatic dismissal of your debt. Instead, you have to prove the statute of limitations has passed if you want any lawsuits filed against you to be dismissed. Debts can still appear on your credit report even if the statute of limitations has passed. The 609 Letter: Internet Rumor or Credit Repair Secret?